The right love a good conspiracy theory. Climate change is a UN hoax. Fluoridation is a communist plot. The international financial system is run by the Rothschilds. Gay transgender cultural Marxists want to indoctrinate our kids. Somewhere there's always a sinister, shadowy cabal manipulating the course of events, providing both a target to rail at and expose, and -- not that conspiracy theorists will ever admit it -- the comforting sense that at least someone is in control and life is not a giant rolling lottery in an indifferent universe. 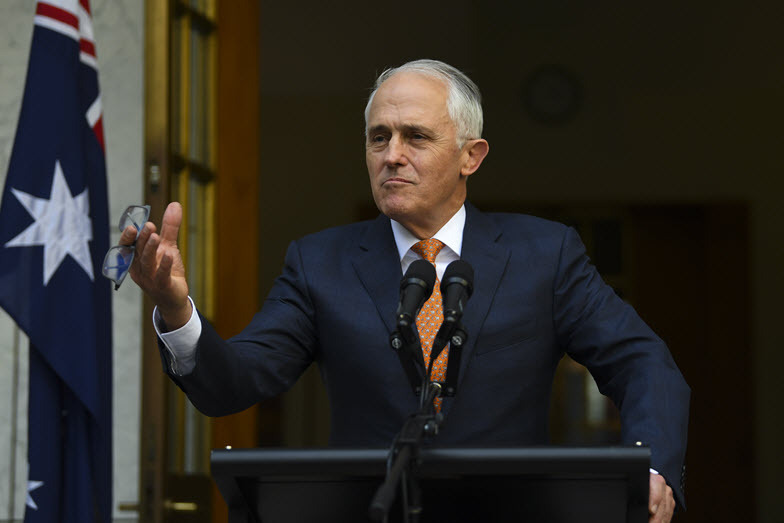 Now the right in Australia has a new conspiracy theory: according to our very own version of Fortean Times, The Australian, Malcolm Turnbull is the sinister force behind all of the government's problems, wielding an "invisible hand" within the Liberal Party (presumably unrelated to Adam Smith's "invisible hand", but who knows -- perhaps this conspiracy goes back centuries). Fortunately, The Australian's photographers have snapped Turnbull with an all-too visible hand -- clutching an black umbrella! Who is George Soros and why do the populist right hate him? Many of the Australian far-right would have you believe that billionaire George Soros, one of several liberal figures targeted in an apparent bomb plot in the US, controls Australia's left-wing agenda. An inquiry into lending to primary producers is spending a peculiar amount of time on fictions about international financial conspiracies. We've been struggling to work out how One Nation is more "sophisticated" than it used to be -- so we've asked the man who claimed that it was to please explain.